It's never too late to start something great. Making small but significant changes to your diet and lifestyle can yield powerful results. Going meat-free just one day per week is simply better for your health and better for the environment. But how do you create a meat-free routine? Here's where to start. Realize your "why"Having a mission and a purpose for changing the way you eat, will give you motivation to start, and endurance to follow through. Begin by assessing your health. Unless you're already sick, how much effort do you put into preserving your body and preventing disease? According to a 2016 study in the Critical Reviews in Food Science and Nutrition, people who eat plant-based have a 15% lower incidence of all types of cancer, 34% lower risk of female-specific cancer and 22% lower risk of colorectal cancer. According to The Journal of the Alzheimer's Association, a diet focused on extra leafy green vegetables, fiber, fruits and berries is associated with a 53% reduced incidence of Alzheimer's disease, particularly in those predisposed. Besides your health, you can do your part in saving what's left of the Earth. Here are a few facts you probably didn't know about meat production. 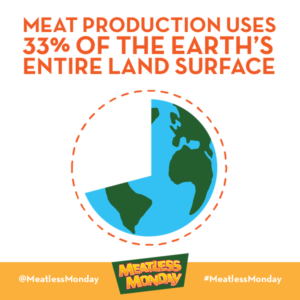 Meat production uses 33% of the Earth's entire land surface. Producing a 1/4 lb. burger uses enough water to fill 11 bathtubs. Global meat production creates more greenhouse gas than the entire transportation sector. 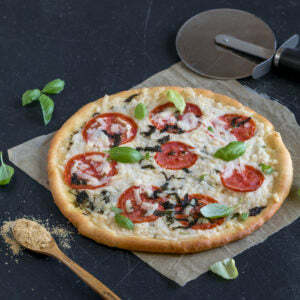 A Vegan Diet (Hugely) Helpful Against Cancer. Huffington Post (2013). FGI Research (2014). Online panel of 1,000 respondents. Johns Hopkins Center for a Liveable Future (2010). Healthy Monday: Two literature reviews.